This Winter: Cold temps, but what about snow? Before we do, it’s important to call this what it is. It’s an OUTLOOK for our winter. It’s not a FORECAST with specific numbers and timing of weather systems. The forecast is more short-term and based on much more information. Still, it’s at least fun to try and figure out how harsh or forgiving our winter is going to be. There are several big players to consider in our winter weather puzzle. 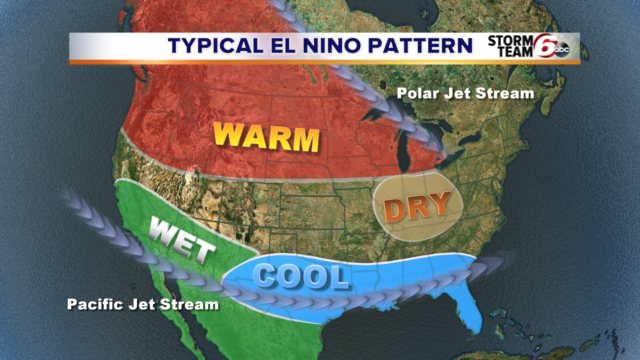 El Niño is expected to be a factor. That piece alone would suggest a drier than average season. Mike Ryan, a meteorologist with the National Weather Service says snow lovers shouldn't loose hope on that fact. Ryan says, "With drier than normal, you have greater arctic intrusions and you don't need as much water equivalent necessarily to generate snowfall." 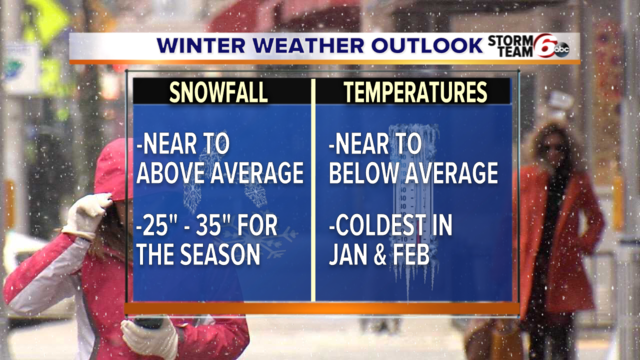 When it comes to the snowfall outlook this winter, Ryan and the National Weather Service are leaning toward near to above average snowfall for Central Indiana. We typically pick-up around 26" of snow, but may find ourselves in the 25-35" range by the time spring arrives. That leads us into the temperature outlook which is for near to below average numbers. The coldest expected to arrive after the first of the year. That said, there will still be some warm spells. Keep in mind, there will be several other factors that shape our forecast through the season. You can watch the full winter weather interview with meteorologist Mike Ryan in the player above.